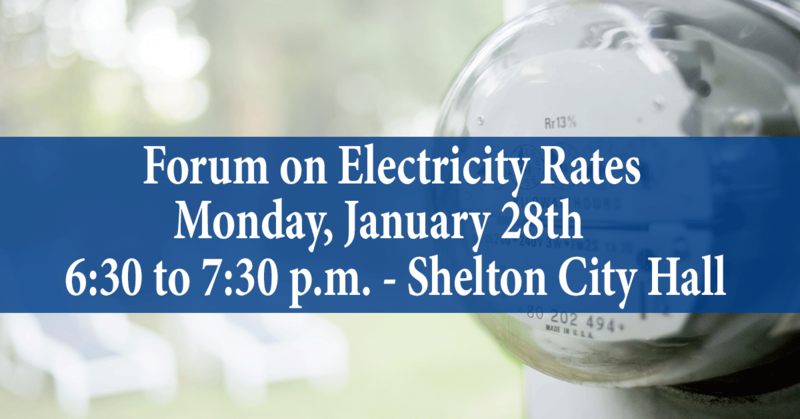 SHELTON – State Representatives Jason Perillo, Ben McGorty, and Senator Kevin Kelly will be hosting a PURA Informational Session for residents to learn more about their electric rates and to give them the opportunity to ask questions and express concerns. The forum will be held on Monday, January 28th, from 6:30 to 7:30 p.m. at the Shelton City Hall Auditorium. PURA representatives will explain the Energized Connecticut Program, talk about the process of how rates are set, the oversight process, and options available to users to verify kWh usage charges. The lawmakers said they have heard from countless residents and businesses who are frustrated their electric rates increase yearly. For more information or to contact the representatives call 860-240-8700 or visit www.RepPerillo.com, www.RepMcGorty.com, or www.SenatorKevinKelly.com.